Robert-Morris-Box-Sound-Making | Inspiration: a functional approach to creative practice. Published 4 January 2013 at 531 × 558 in 12.2 Space (pt 1 of 6). Figure 86: Robert Morris, Box With The Sound of Its Own Making (1961, walnut box, speaker, tape recording of the sound of making the box.) Image © the artist/the Morris Studio. Permission to use image obtained from the Morris Studio via the Design and Artists Copyright Society, UK (DACS). 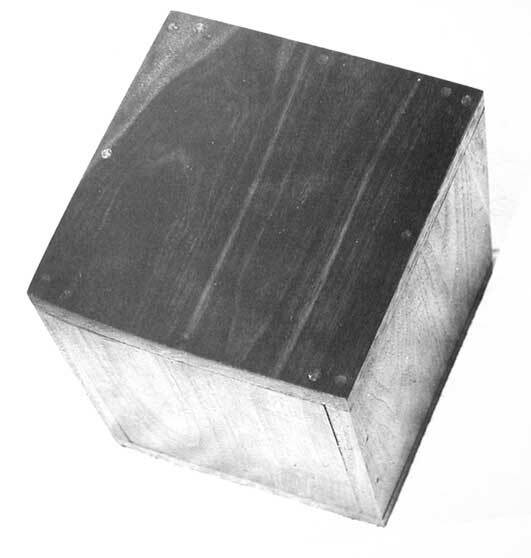 Robert Morris, Box With The Sound of Its Own Making (1961, walnut box, speaker, tape recording of the sound of making the box.) Image © the artist/the Morris Studio. Permission to use image obtained from the Morris Studio via the Design and Artists Copyright Society, UK (DACS).